Jan Gordon often incorporated his own experiences as well as those of his wife (Cora Josephine) in his novels. For example, the story of “There’s Death in the Churchyard” (1934) contains a character "Gunning," a painter, who, like Jan Gordon, had been a munitions worker during the First World War. The observation that, "why he probably learned no more than his grinding job, and nothing else", eventually led to him being removed from the list of suspects. Jan Gordon had worked at the Derby Rolls-Royce factory making parts for aero engines. In the same book, the character "Belle" had studied at the Slade School of Art in London, as had Cora (“Jo”) Gordon. One novel stands out, however, for wholesale re-use of earlier accounts of his journeys in Spain during the early 1920s. 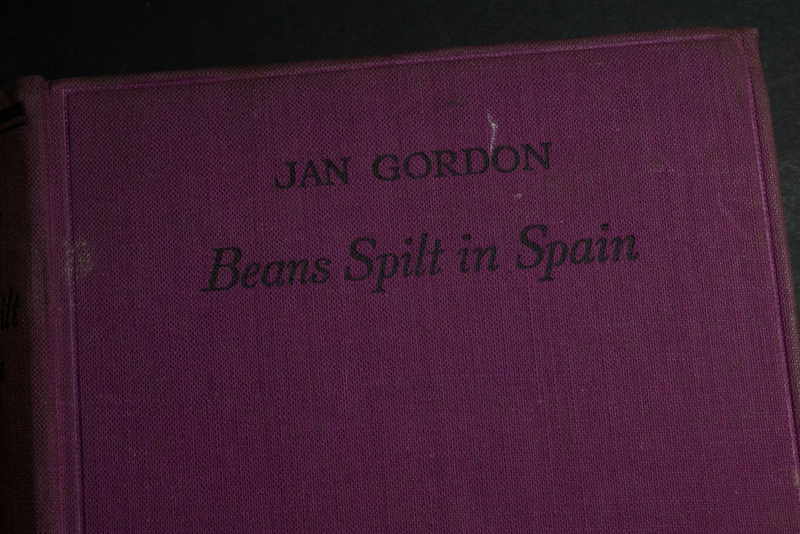 This is the book "Beans Spilt in Spain" (1931). The story begins with a frustrated English artist living in Paris impulsively leaving for Spain. After accidentally throwing beans on a ticket collector he jumps trains and finds himself on the way to "Almera." 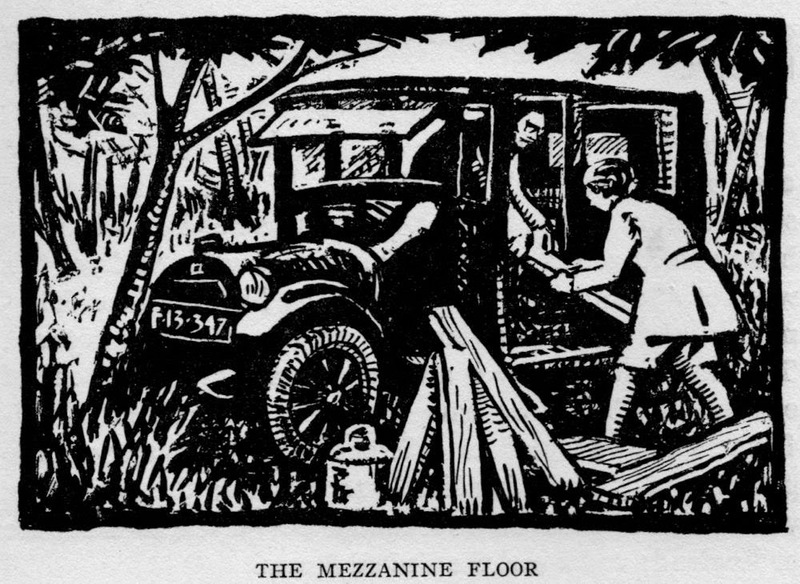 Having arrived in the dark and finding that the town was 10 km away from the station he set off walking, soon tripping in a hole and hurting his knee (page 73). When a car approached he flagged it down. "The horn bellowed wildly, imperiously. He shouted in answer and waved his handkerchief." This encounter provided the first brief glimpse of his future love. 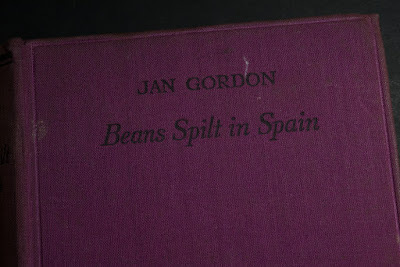 For anybody who has read "Misadventures with a Donkey in Spain" (1924), it quickly becomes apparent that this earlier book is the source of numerous accounts and characters in "Beans Spilt in Spain." Here, I'll mention just one. 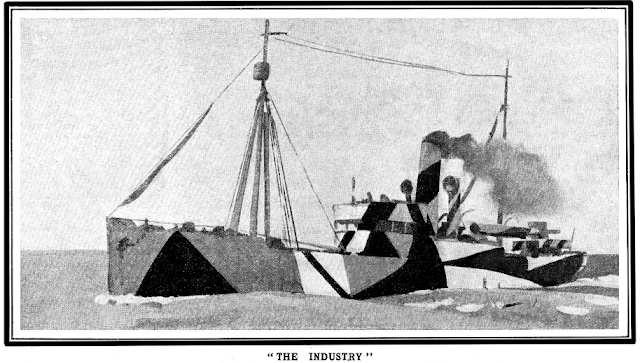 In "Misadventures," a French Engineer the Gordons met in Almeria remarked that, ".. I have a friend here who is a compatriot of yours. He is one of the most extraordinary men I have met. A man of overwhelming talent. A man indeed that one might respect, but that he will make no use of his talents whatever." Late instructor of economics to H.R.H. the Prince of A----; late tutor to His Highness Prince B----, son of H.R.H. Prince C----; late tutor to the Count of D----. Professor of Economics from the E---- School of Business. Author of 'The Manual of Business Economics' (to be published shortly)." Archibald Plamville reappears with a new name in "Beans Spilt in Spain" (page 89), again presenting his card, "a rather soiled pasteboard on which was printed in ornamental lettering:"
Late Instructor of Economics to H.R.H. the Prince of Aeolia; late tutor to His Highness Prince Belius, son of H.R.H. the Prince of Corinthia; late Tutor to the Count of Dagelia. Professor of Economics at the Carthew Institute of Commercial Research; Author of 'The Manual of Business Economics' (to be published shortly in Spanish)." In "Misadventures with a Donkey in Spain" the professor introduces himself with "I am proud to meet compatriots of mine in this benighted country." In "Beans Spilt in Spain," the professor says, "I am proud to meet a compatriot in this benighted land.."
"Beans Spilt in Spain" is an entertaining story, but the more I read, the more I became aware of the extensive self-plagiarism. Presumably inspiration was in short supply or Gordon found it impossible to prevent the earlier experiences from intruding during the writing of the book. Contemporary reviews were quite positive (a "rollicking tale of picaresque and Bohemian adventure in the open air and the sun-light" according to NEW AGE) and nobody seems to have noticed the very substantial re-packaging of material from his earlier work.